Measuring is a given for every recipe in the kitchen. Make sure you have the correct measurements every time with a commercial quality bakers scale. A good recipe can be ruined with incorrect measurements, so a high quality scale is a must for bakeries, restaurants, and kitchens. Our scales are accurate and large enough to hold most baking ingredients. Shop balance beam scales, scale scoops, scale weights, and more to keep your measuring station stocked and in order. Browse by brand or price to find something that meets your culinary preferences and your budget. Our scales are well-constructed and made to last, allowing you to enjoy their convenience and accuracy for years to come. Penn Scale Bakers Balance Beam Scale 4 lb. - 1lb. x 1/4 oz. Plate diam. 6"
An invaluable tool for every professional baker! Your measurements must be exact to create a great finished product, so be sure you're prepared with the measuring tools preferred by bakers everywhere. These bakers scales are designed to meet the unique needs of your profession, promising accuracy, a compact design, and easy to use features. Browse our balance beam scales to find a brand that works for you, and pick up a few accessories while you're here. 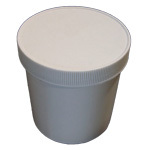 We offer scale weights as a replacement for your existing set, as well as baker scale scoops and taring jars to allow you to measure accurately and efficiently. Replace your old scale or improve an outdated system with one of these professional, commercial grade weights for your most frequently used ingredients. Our wholesale prices make these products too good to be true, so be sure to take a look around and complete your set of must-have Bakery & Restaurant supply.